Nothing brightens your day more than a letter, much less a letter from a child, and this week, I'm getting to spend some time with some amazing short people in first grade. (Have I mentioned how much I love first grade?? ) 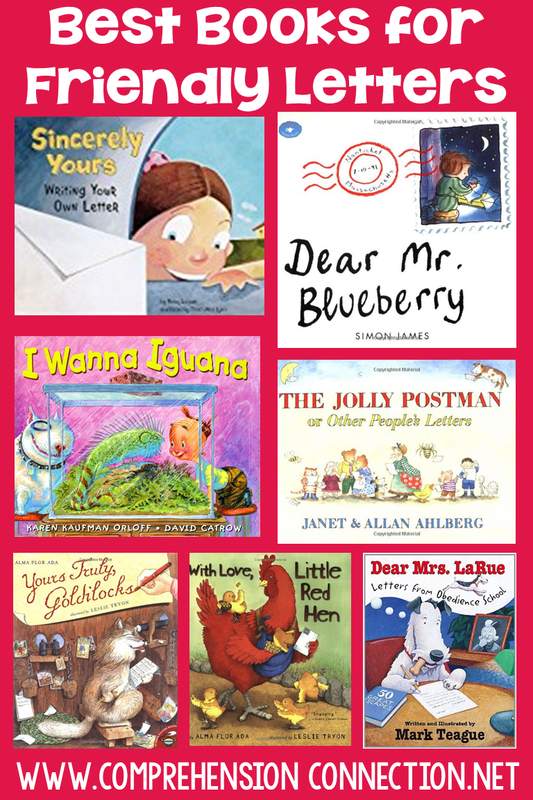 Writing with Firsties is very eyeopening, and letter writing Is sure to create a little buzz. In a few days, I will upload our finished products to the post. For now, I thought I'd share a few of my teaching ideas for the week. Of course, we have to start by sharing great book choices. Luckily, one of Ezra Jack Keats' books fits the bill since we're also doing a study of his work with our reading mini lessons. A Letter to Amy is about Peter getting ready for his birthday party. His BFF is Amy, and he really really wants her to come. He writes a personal message, but things get foiled and he loses the letter. However, Amy gets the message and comes right on time. 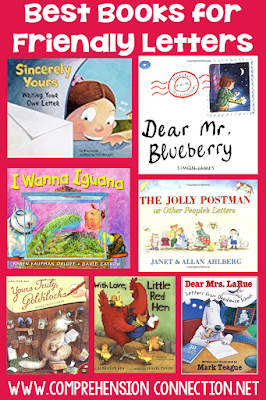 Another great letter writing book is Dear Mrs LaRou by Mark Teague. Luckily, my favorite writing website, The Writing Fix has a great lesson with teaching ideas, anchor papers, and some materials. I was really happy to be able to project the anchor paper samples for the kids to look at and evaluate. Kids learn a lot from looking at other students' examples. At the end of this post, I'll share the letter writing paper I created for the kids to use. If you're wanting to write persuasive letters, my favorite is I Wanna Iguana. I love this book, and honestly, it could lead to really interesting letters. There is a Writing Fix lesson for this book too. CLICK HERE to access Writing Fix's lesson. The next piece we're working on will go through the full writing process and will be based upon the lesson ideas with Dear Mrs. LaRou. I love the anchor papers that are included which will get the ideas going. RAFT papers are fun, and I'm anxious to see what the kids come up with for topics. 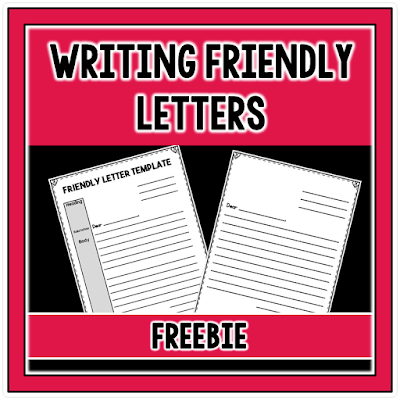 There are two pages included in the freebie I'm sharing with you. 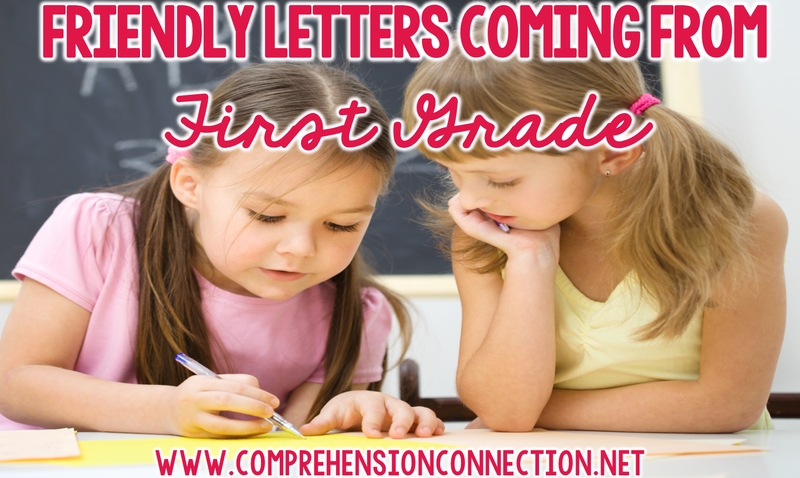 The first includes the five parts of a letter labeled with the parts the kids need to know. The second is a letter writing stationary. I hope you find it helpful. We use letter writing skills all the time, so I know the kids will be excited about their new knowledge. Have a great week, and I enjoy the freebie.